Develop confident students with our expert authors: their insight and guidance will ensure a thorough understanding of OCR A Level computer science, with challenging tasks and activities to test essential analytical and problem-solving skills. - Incorporates full coverage of the skills and knowledge demanded by the examined units, with exercises to help students understand the assessment objectives and advice and examples to support them through the practical element of the course. George Rouse, Sean O'Byrne and Jason Pitt are experienced senior examiners and teachers who have written extensively on Computer Science at all levels of the secondary curriculum. 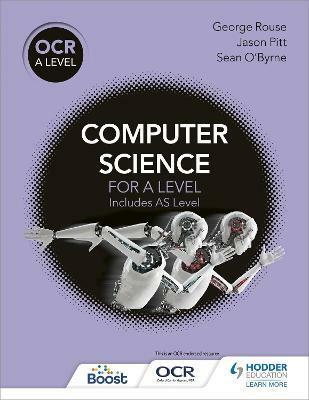 Their bestselling resources include Compute-IT at Key Stage 3 and OCR Computing for GCSE.